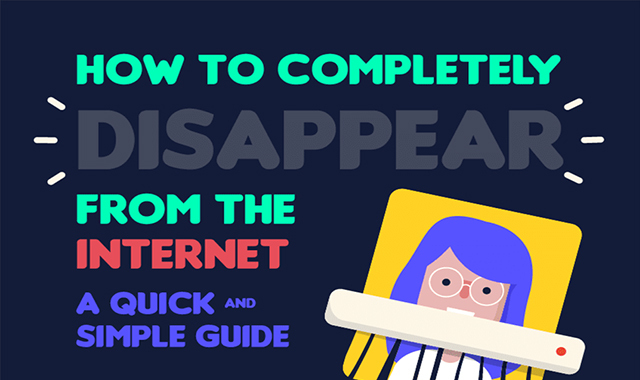 How to Disappear From the Internet Completely #infographic ~ Visualistan '+g+"
Do you long for days gone by, when our lives were led in the real world rather than online? Perhaps you’re unhappy with the way social media makes you feel. Or maybe you’d just like your life to be more private. Maybe it’s time for you to disappear from the internet. Completely. Since the birth of the internet, people all over the world have posted their personal data, embarrassing photos and heated opinions to various websites, forums and social media platforms, to the point where many of our lives are now an open book.